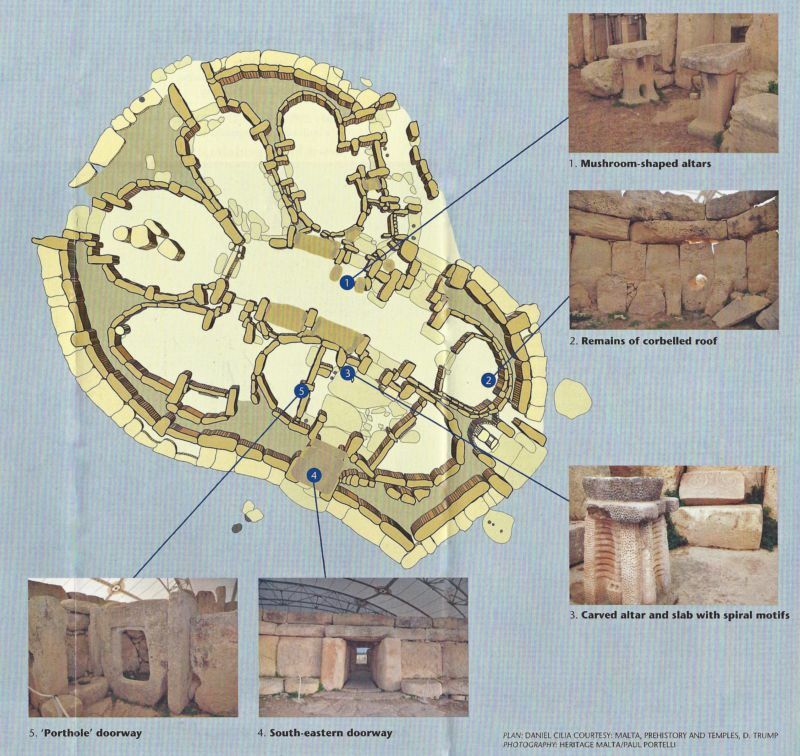 Features of temple architecture reveal a preoccupation with providing accommodation for animal sacrifices, burnt offerings and ritual oracles. 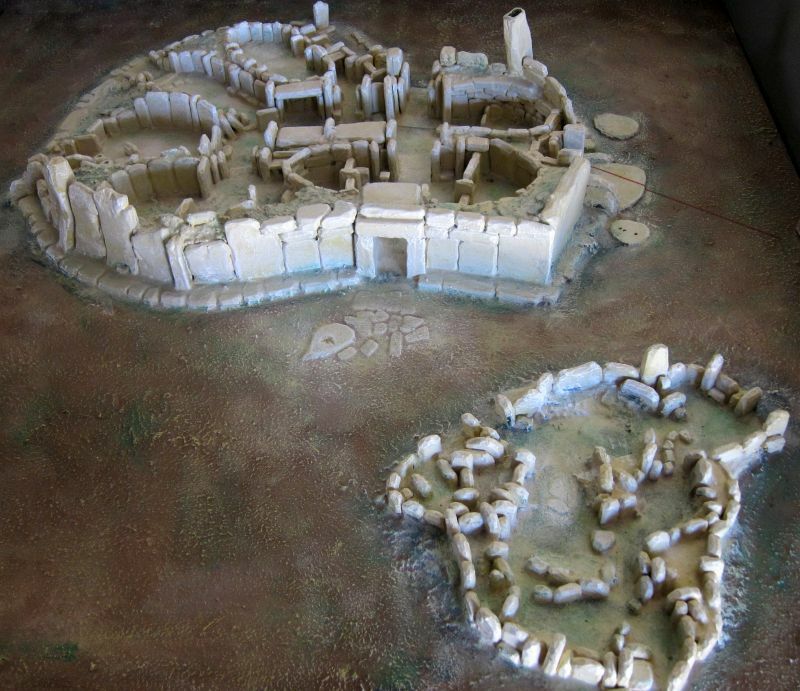 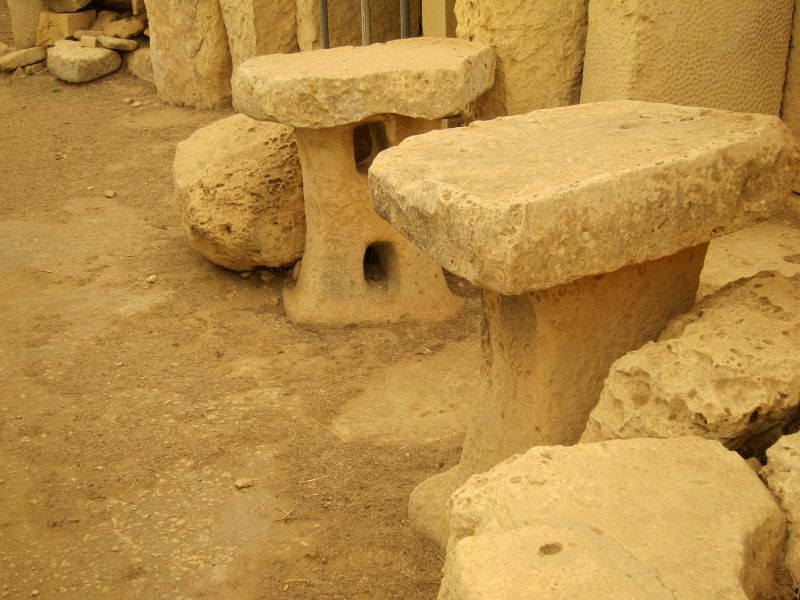 Recesses were used as depositories for sacrificial remains. 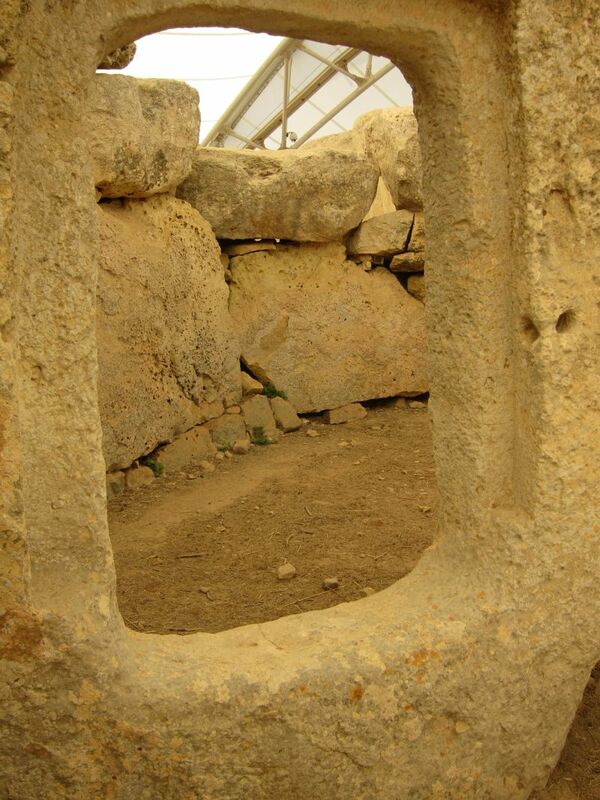 Excavation has uncovered numerous statuettes of deities and highly decorated pottery. 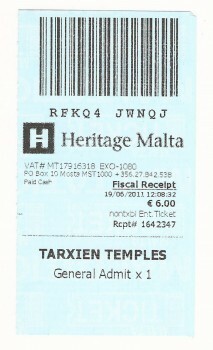 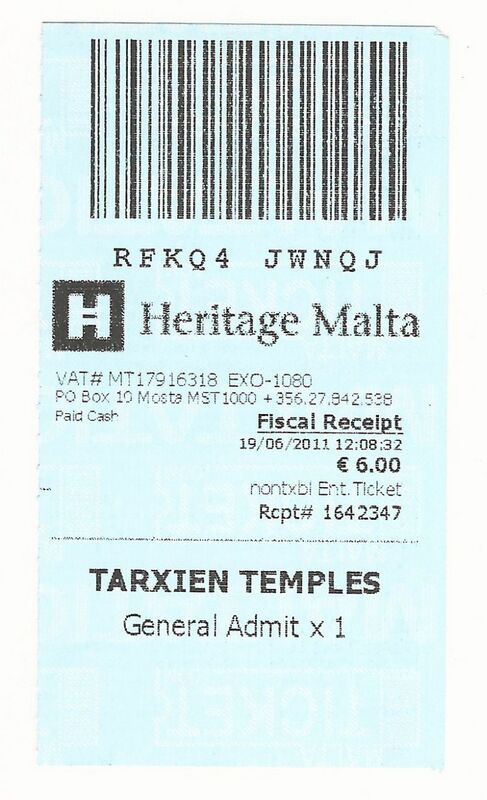 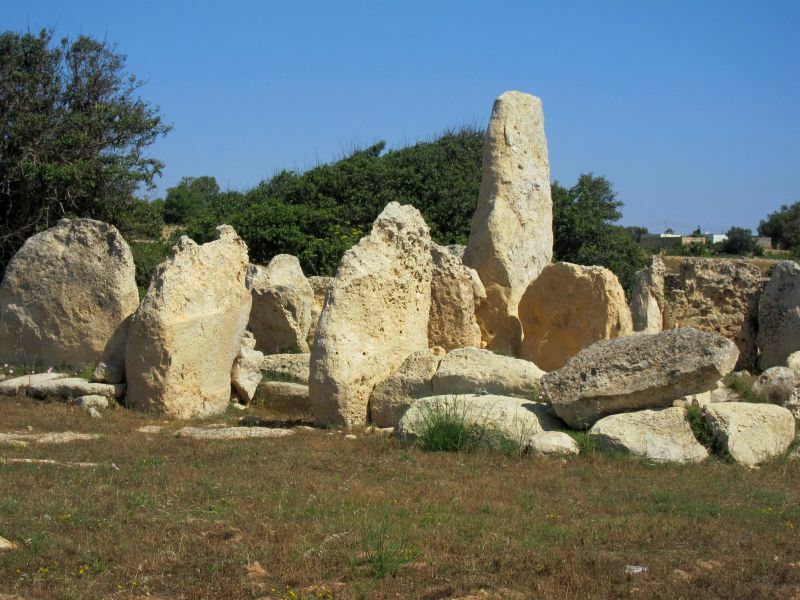 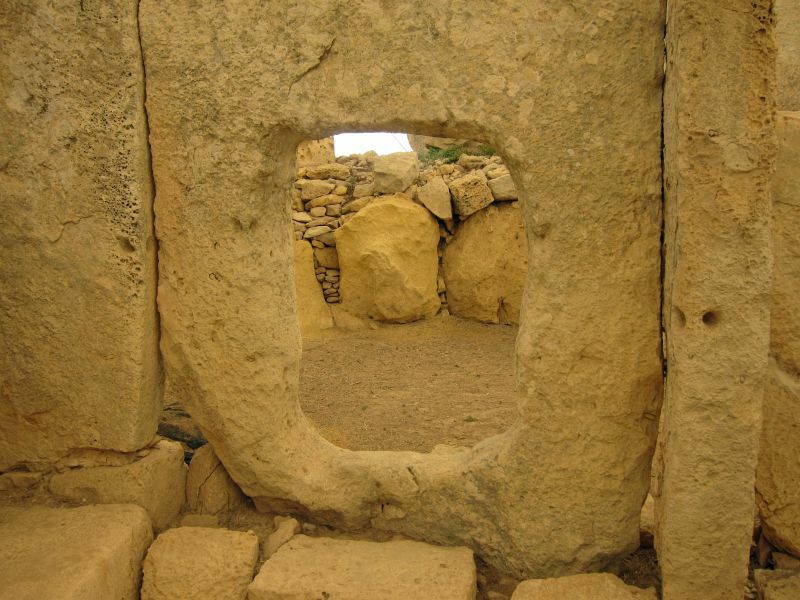 No burials exist in the temple or the area surrounding Ħaġar Qim, nor have any human bones been discovered in Maltese temples. 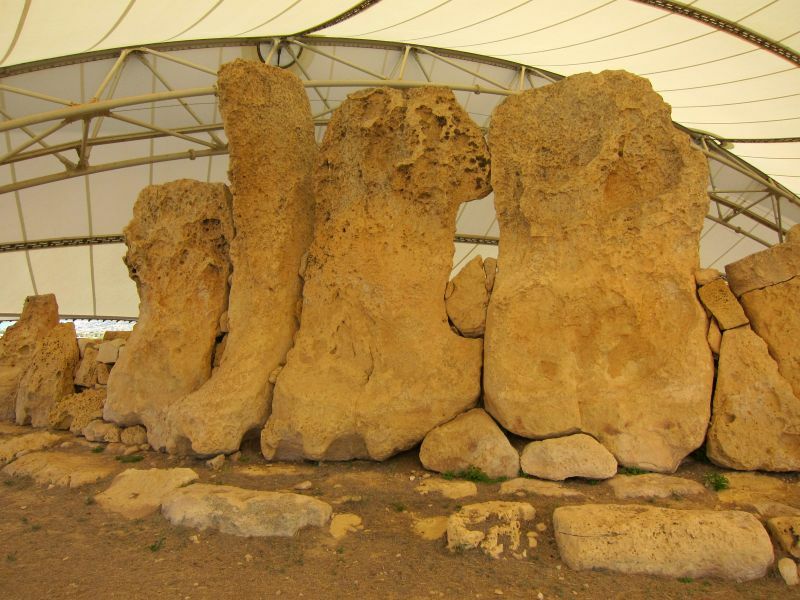 Bones of numerous sacrificial animals have been found. 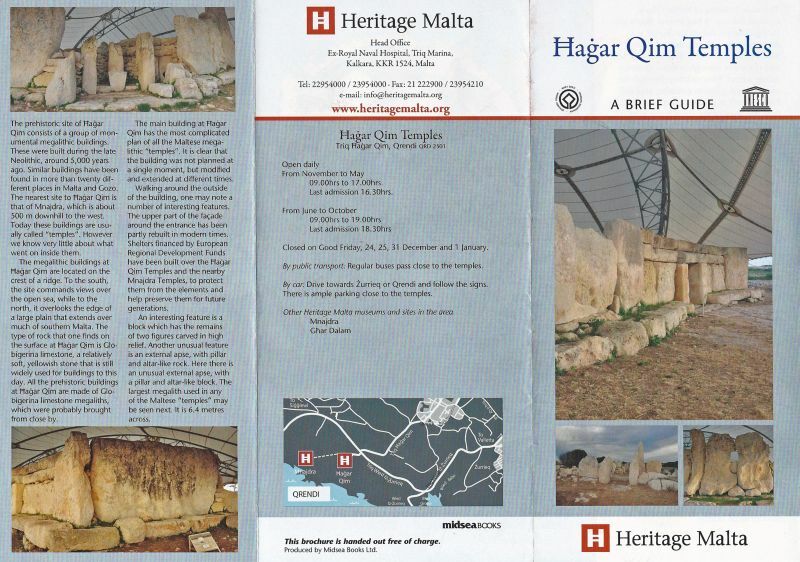 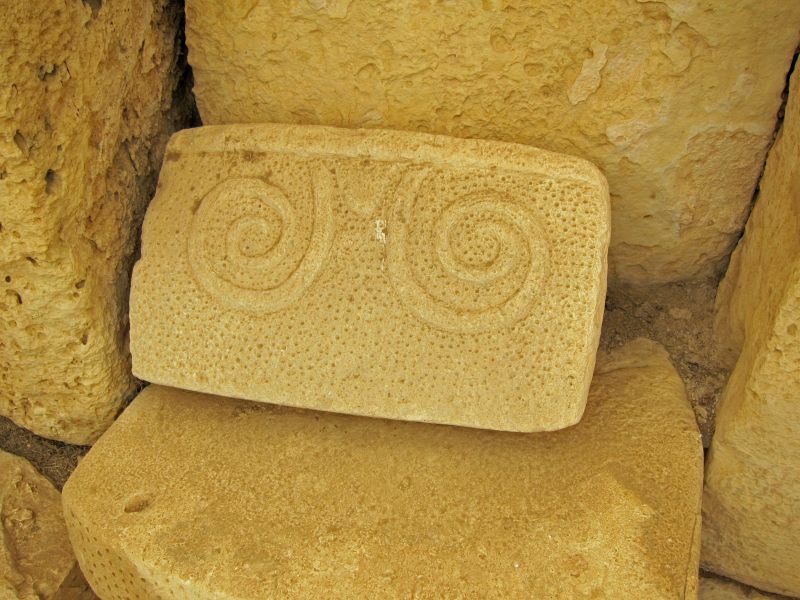 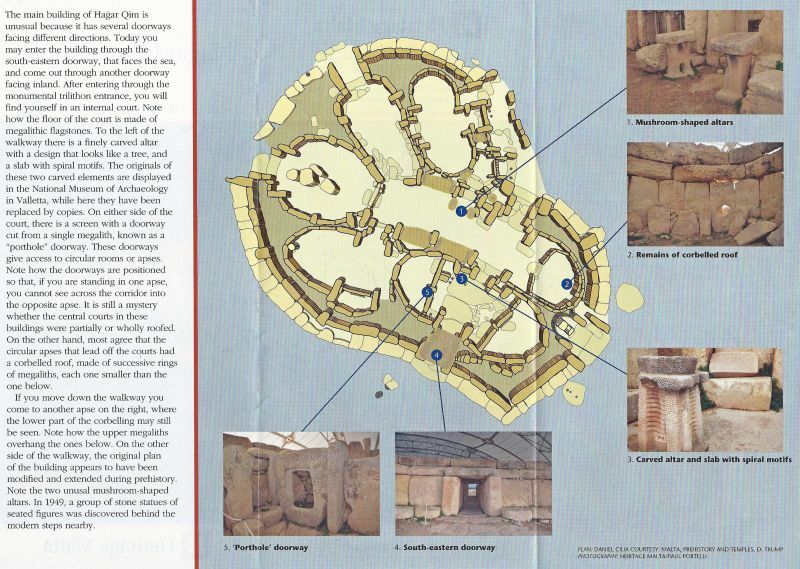 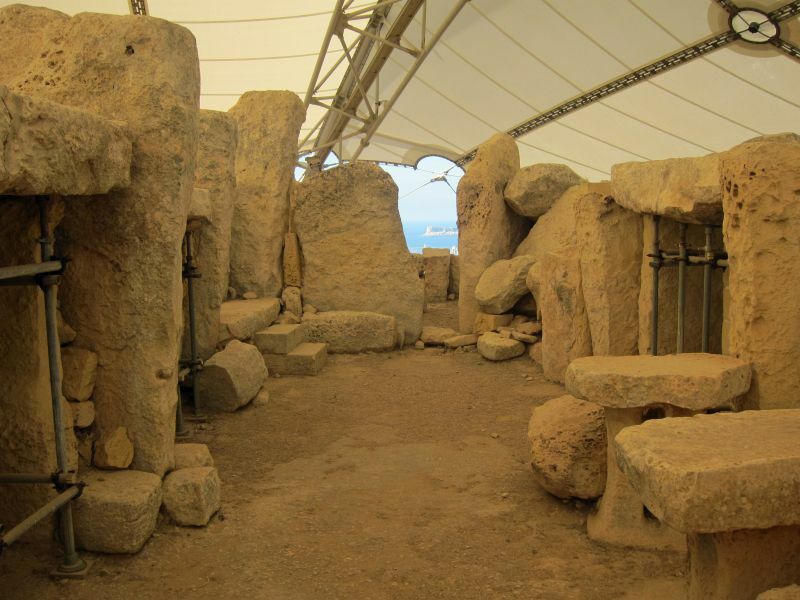 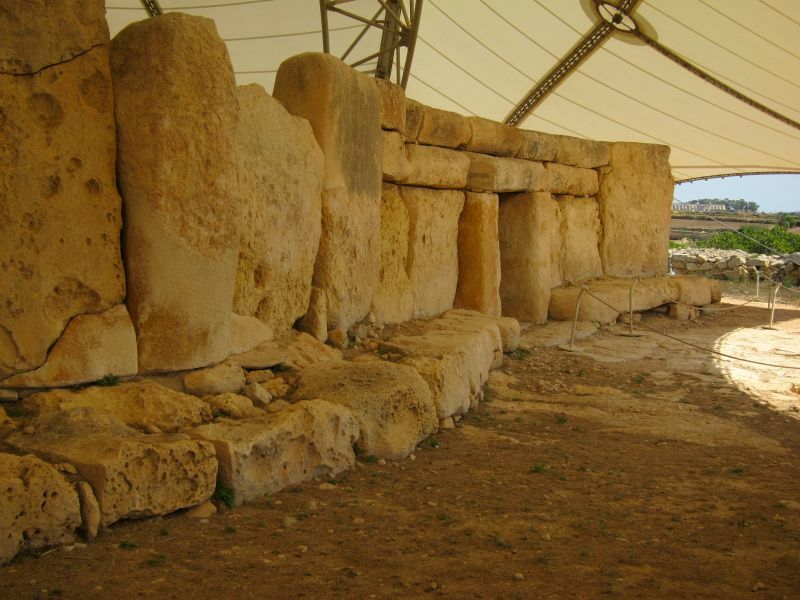 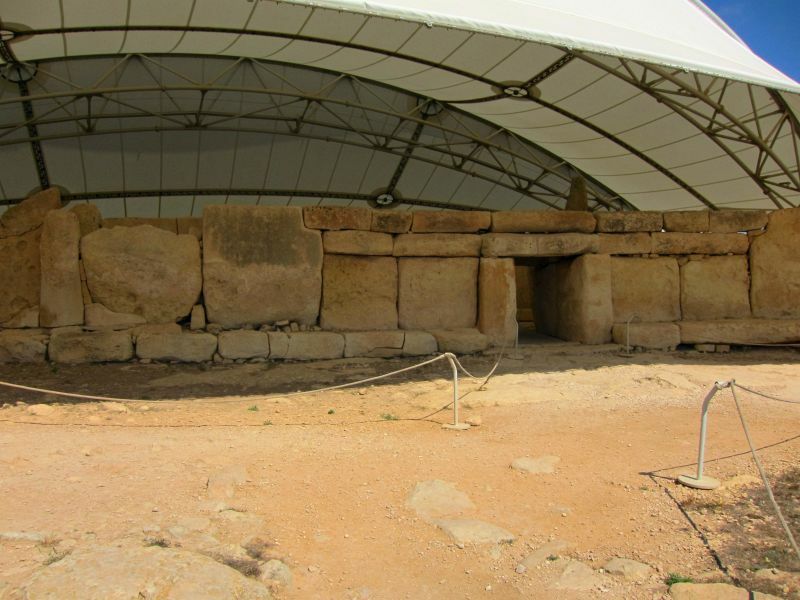 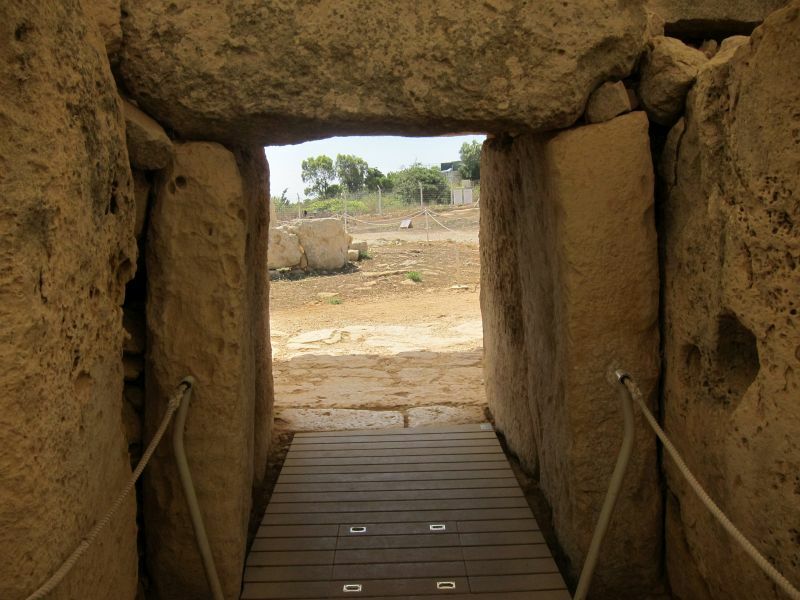 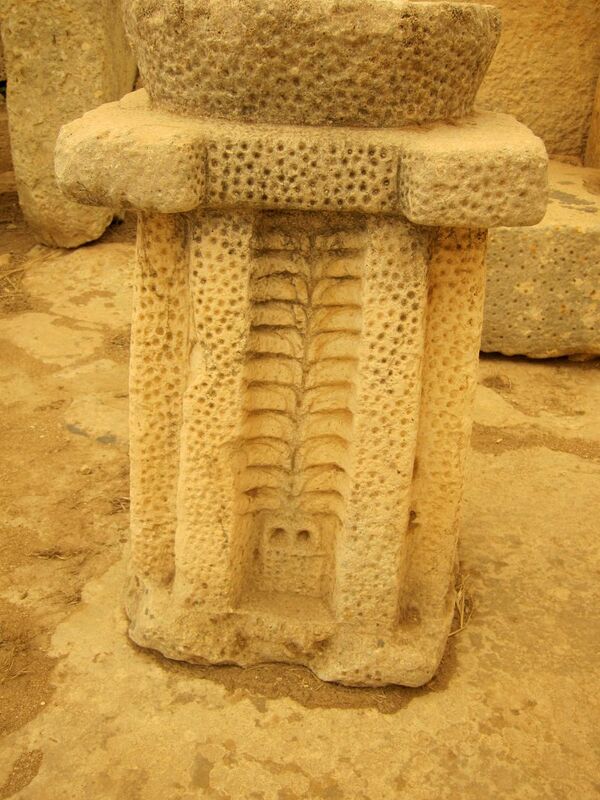 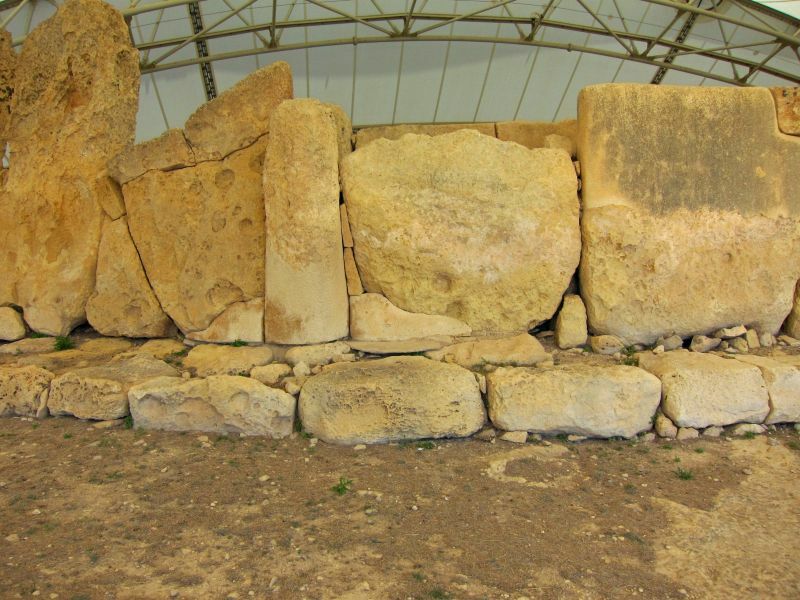 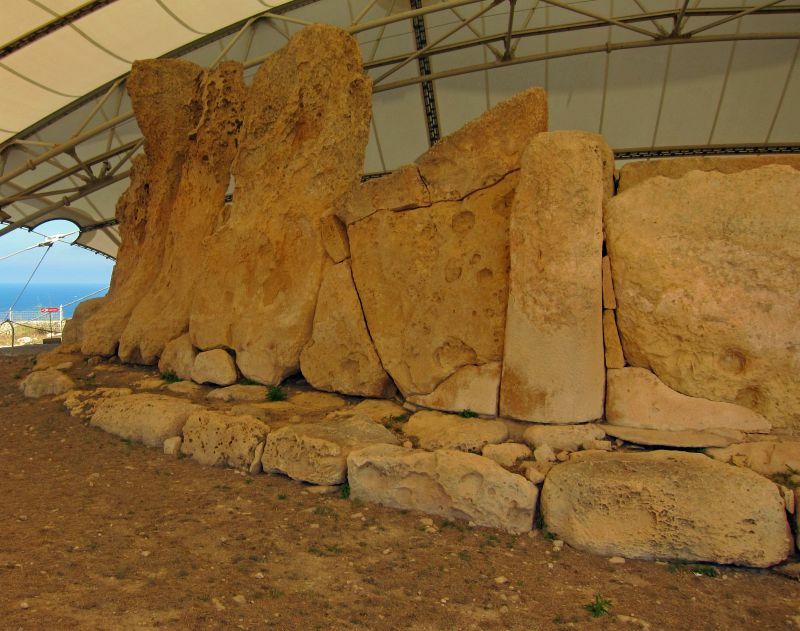 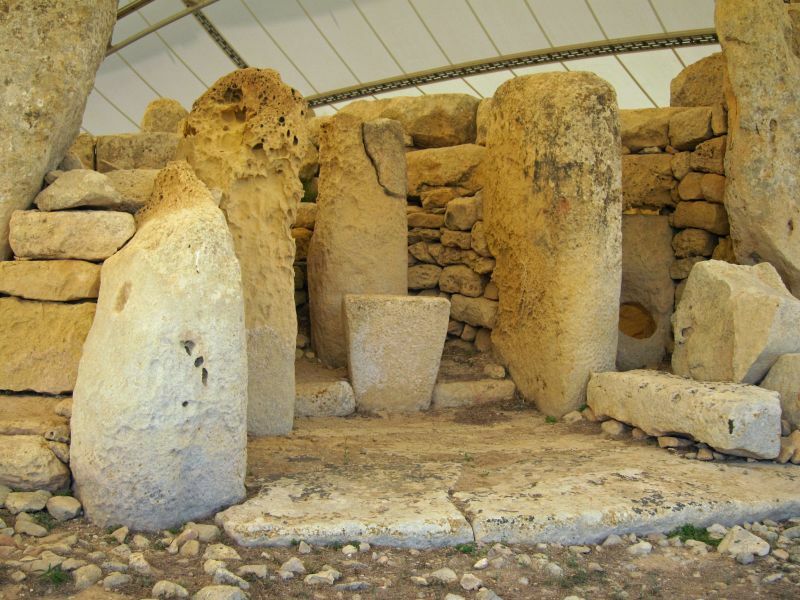 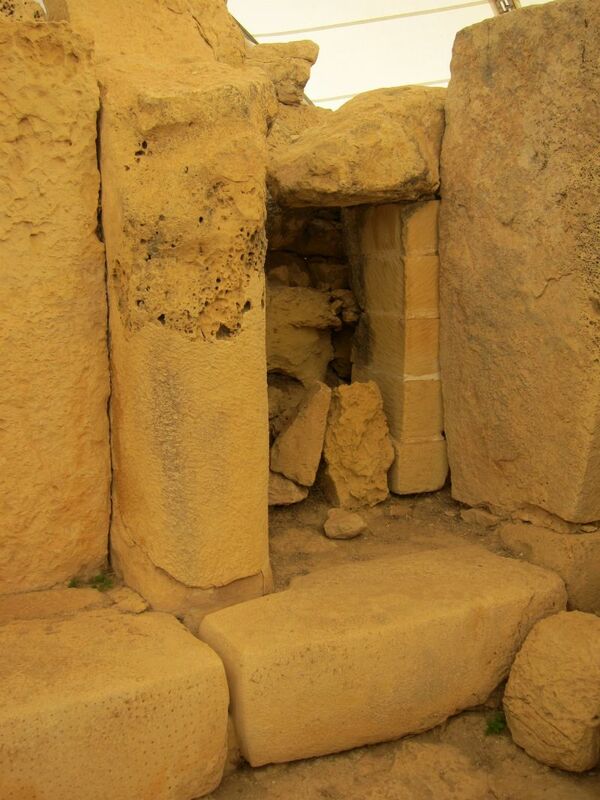 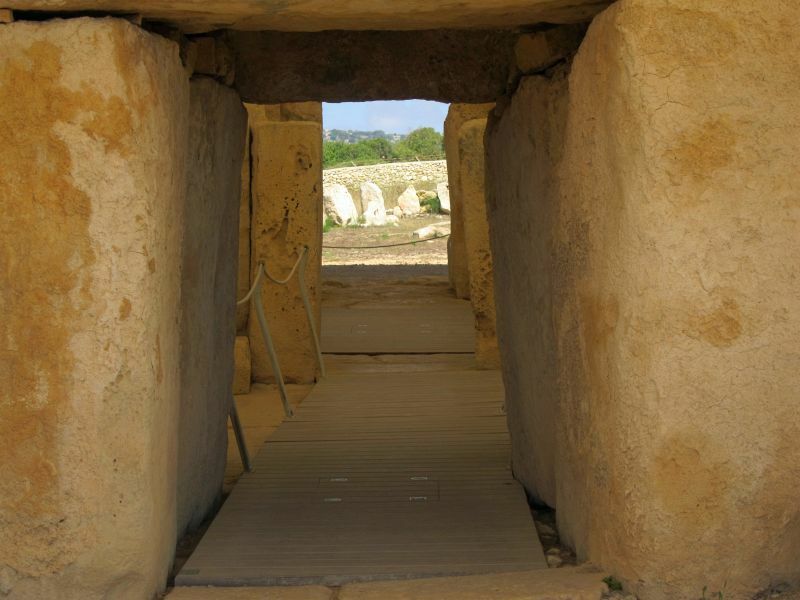 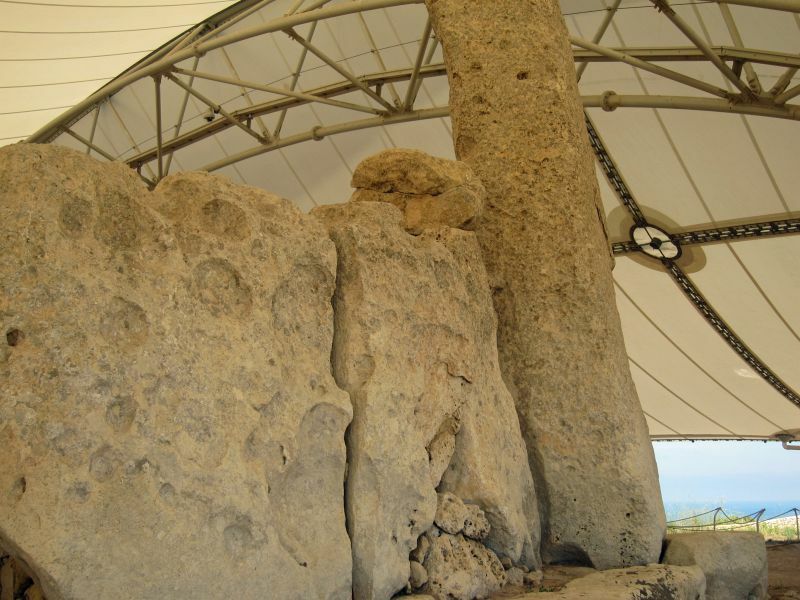 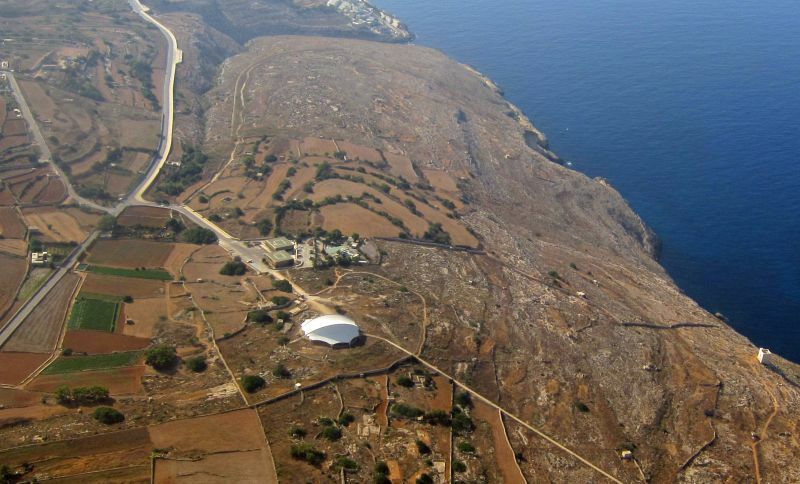 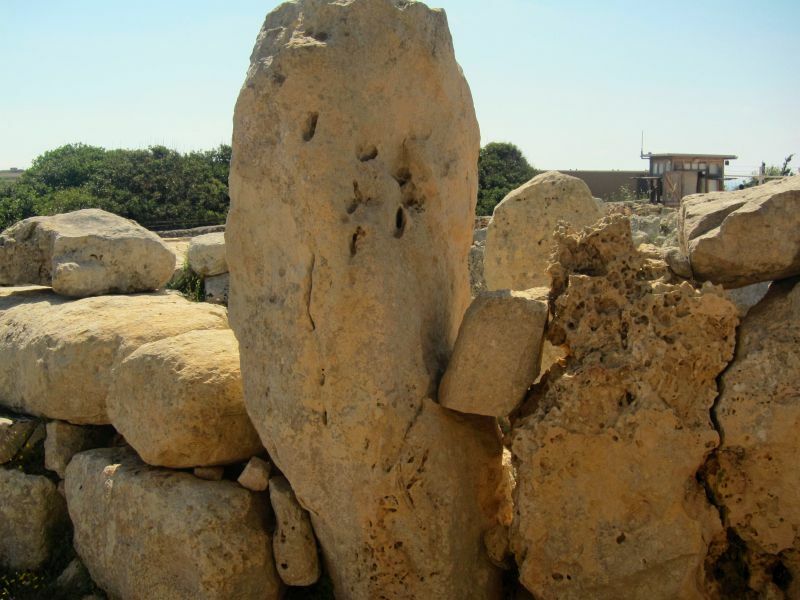 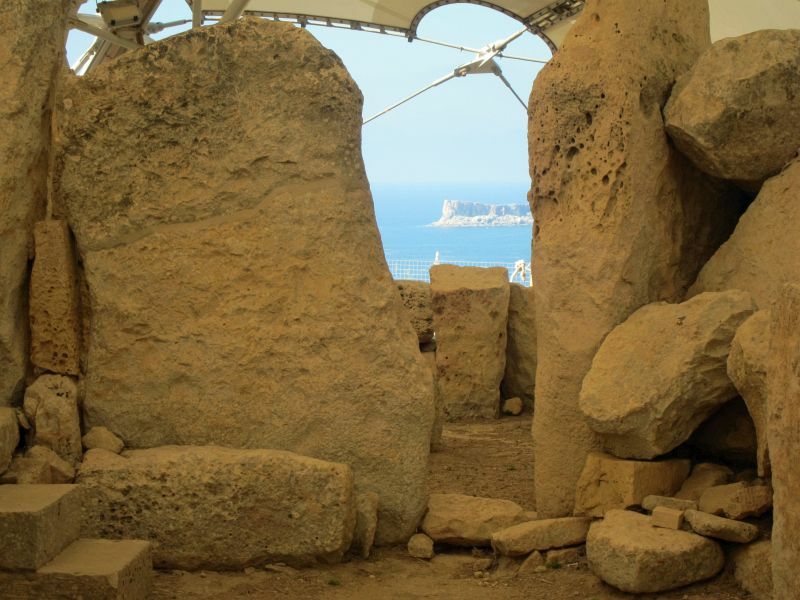 It is theorized that the Ħaġar Qim complex was built in three stages, beginning with the ‘Old Temple’ northern apses, followed by the ‘New Temple’, and finally the completion of the entire structure.